Camelot Dragon PRO2 Mk 2 Digital Signal Processor  Part Three: "Jitterbug"
Some time back I started my series of articles on the Camelot Dragon PRO2 Mk.2. At first I thought I would be able to do a simple review and that would be that. After all, the Dragon is just a device that plugs between a separate transport and digital-to-analog converter. You don't even really need one to make your system work, and if you don't have a separates-based front-end, you can't use it anyway. However, the Dragon proved much more versatile, so the scope of the review expanded to three parts. The first two parts came last year. Unfortunately, with the Christmas season followed by a series of audio shows and events, I did not get to my final experiment as quickly as I wanted. However, I've finally accomplished what I set out to do, and the process has answered a question that's plagued me for some time. My first two articles explored the functionality of the Dragon -- the impressive switching capabilities along with the ability to run one type of digital connection into the Dragon and another type out of it. Next I experimented with the resolution enhancement, which I found to make a subtle, but positive improvement in terms of high-frequency airiness and depth of stage. My final experiment is probably the most important and has to do with the Dragon's jitter-reducing abilities. A number of years back, many audiophiles found that a transport could affect the sound they heard when using an external DAC. To the digitally informed, this seemed heretical. "How can this be?" many screamed. "Bits are bits!" Truth be told, I was one of those who screamed. It didn't make sense to me. In the computer world, CD-ROMs and hard drives have no problem reading and writing every digital bit with 100% precision. A crappy old 5 1/4" floppy, bent and with coffee stains on it, can be made to work. Why, then, can't a CD player read a disk properly? Is it really that hard to read 16 bits? Surely CD players could master that! But this wasn't really the problem at all since virtually all transport mechanisms read with great accuracy. Do a bit-by-bit comparison and you will see all the correct ones and zeroes making up each digital word. It seems that the culprit isn't the accuracy of reading the data; rather, there is this thing called jitter that affects the timing of the data and which, in turn, gives the DAC a tougher time of it. Jitter, it seems, can affect the sonic performance you hear out your DAC. After I learned this, I went on what I called the Great Transport Safari for about six months. I listened to almost every transport I could, from dedicated units to CD players with digital outputs. I found that price did not necessarily correlate with performance, and standalone transports were not always better than CD players with digital outputs. In fact, I found transports priced in the hundreds of dollars that could outperform some costing thousands. Those transports, which did sound better to my ears, tended to have tighter, more defined bass, less grain through the midrange, and were more pristine in the high frequencies. Resolution of detail also seemed higher. All of these things correlated with what experts attributed to low jitter. I ended up buying a Theta Data Basic, which I deemed not only the best value, but one of the very best at the time. To this day arguments still exist on whether jitter is really audible. If people do agree that it's audible, then there is disagreement on exactly where the best place to fix it is. Many say fix it right in the DAC, just before those bits get converted to the analog domain. If that is done, they say, then the transport is irrelevant. Whatever the case, it never seemed to get solved to anyone's satisfaction, and transports still seem to affect the sound of most external DACs that I've heard. Regardless, the jitter issue had been nagging me for years. Not long after the widespread acknowledgement of this jitter thing, jitter-reducing boxes that go between your transport and DAC started popping up on the market -- Audio Alchemy was one of the first, and the Camelot Dragon was one of the very last to be introduced. I always wondered whether a cheap transport could be made to sound like an expensive transport if it had a jitter box like this one tacked into the middle. Frankly, it never did make much sense to me to spend a whole lot of money on a really good transport only to patch another layer between it and the DAC. I know some people experimented with cheap transports, but for some reason they never wrote about it. It seemed reasonable to me that if these boxes could, as their literature professed, re-clock the signal, then they should make the transport irrelevant. Could the bits really retain the sonic signature of the transport they were taken from? When I talked to dealers about this, they did not seem interested in trying it. I wonder why? Granted, there is a big caveat to this logic. It assumes that the jitter-reducer is doing its job 100% perfectly. 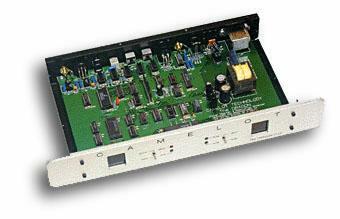 The Camelot Dragon PRO2 Mk 2 represents the latest generation of jitter-reduction boxes. It's not quite as sophisticated as the Genesis Digital Lens purports to be, but it shares the same design heritage, and one would expect similar performance. On hand I have my Theta Data Basic as a reference transport in the context of this system. There is a Data Basic II, however, and I never opted for the upgrade, feeling that although there was a small improvement in sound, I could better lay my money in other places. Besides, I always wanted a jitter-box like the Dragon. For comparison I have a Kenwood DV-S700 DVD player with a coaxial digital output. As well, I also own a rarity in the portable CD player crowd -- a DCP-70 from Denon. It is a heavy little unit with, get this, a digital output jack. Try to find that today! All of these were used in my reference system with the Theta Pro Prime II DAC, Blue Circle BC-3 preamplifier, BC-2 monoblocks and a wide variety of speakers, including the Merlin TSM, Cliffhanger CHS-2/W-2 combination and Shamrock Audio Eire. Cabling was all by Nirvana including speaker wire as well as analog and digital interconnects. In the case of the Denon portable, I also had to insert a mini-jack adapter for attaching the digital cable. One thing is for certain, the Denon represents one of those worst digital connections you can imagine in a high-end system and represents a good test for the Dragon. For what it's worth, I lost the power adapter for the Denon, so I ran it off AA batteries. First up was the Theta Data Basic with the Dragon PRO2 Mk 2 added on. Performance was very close with and without the Dragon, but I would have to say that the Dragon did improve the Theta a notch by making the highs slightly more refined, the bass a tad bit tighter and the midrange clearer. The differences were close to what I heard the Basic to Basic II changes to be. Was I wise holding off an upgrade? Perhaps. Surprisingly, the Kenwood DV-S700 alone as a transport is reasonably close to the Theta Data Basic, but again the bass is not as tight and the highs are a tad hashy. It is comparable through the midrange, mind you, but soundstaging and depth are better with the Theta. Once again, when the Dragon was added, it brought the DVD player slightly past the level of the Data Basic alone and, frankly, if there was any difference between the Data Basic and the DV-S700 running through the Dragon, I was hard-pressed to hear it. Done blind, I'm sure I couldn't tell them apart. Finally, the DCP-70 was hooked up and compared. I'd tried the DCP-70 as a transport when I first bought it. Although it functioned fine, it was far hashier in the high frequencies and much fatter in the bass compared to the Theta. It was always a good unit to prove to people that transports can make a difference. The Dragon, obviously, would have the largest effect on this little critter because it represents: (1) one of the cheapest transports you can buy and, (2) one of the worst digital connections you can muster up with that Radio Shack mini-jack adapter in the path. In the end, although it was very, very close, the DCP-70 seemed not quite as clean, and the bass not quite as tight as that of either the Kenwood or Theta units. Bass was still a tad bit fat and the highs, again, were not quite as pristine, but the overall improvement was quite large. Any midrange difference was very, very slight, if there was any at all. I detected a tinge more warmth with the Theta that I would attribute to the slightly cleaner higher frequencies. It seemed, just by the smallest margin, that the Denon was not extracting quite as much of the minute detail, mainly room ambience and the like. However, I want to stress that these differences were very subtle and only audible on very high-resolution gear. If asked which sounded better, I would say it was a toss-up. As well, musical material chosen proved important. Only on discs with very well-recorded natural-sounding instruments with ambience queues could I really discern any type of difference. Many commercial pop/rock recordings with heavy processing returned almost no discernible differences. With the pending introduction of a new high-end audio standard and the proliferation of a DVD players on the market, audiophiles are more at a crossroads than ever with digital audio. Today, spending large amounts of money on a top-quality transport that only plays CDs and is not upgradeable is risky at best. To me, something cost-effective seems like a more sound investment. I found the Camelot Dragon PRO2 Mk 2 to bring all transports I had on hand to a very close standard -- any differences were very subtle and only audible to my ears with intense listening and rapid switching back and forth. For myself, I could easily live with any of the three. In the case of using a DVD player as a transport, the idea is very attractive because it allows for a certain amount of convergence in your system, not to mention cost-cutting by killing two birds with one stone. In its current state, the Dragon Pro2 is not intended for 24/96 signals, even if your DVD player is; it is solely for 16/44.1, but it will pass HDCD. However, an upgrade board for the Dragon Pro2 will be available by the end of June that enables it to also de-jitter 96kHz, AC-3, and DTS signals. The cost for the upgrade will be $295. Contact Camelot for details. Also, be careful with a DVD player if you intend it to be your sole source. They will all play CDs; however, many will not play CD-Rs due to the nature of their laser mechanisms. This may or may not be relevant to you. And while I do not recommend using a portable player as a transport (mainly because they are not all that reliable, nor are they rich in features and convenience), a low-priced CD player with a digital output or a DVD player is a very good option worth exploring. I kind of regret selling my old Denon DCD-1520 CD player with its digital output -- it was one of the most convenient and reliable players I've ever used. What's important is that a number of options are open when using the Dragon. While $1500 for the Dragon seems expensive and is actually close to the price of a very good transport, don't forget it has all the other features like multiple digital inputs and outputs, phase inversion, and, of course, the resolution enhancement. To me, that spells very good value, and depending what your needs are, the Dragon could fit nicely into your current-day system.